Use the archer to eliminate hair between the eyes. A well-defined brow does wonders for your face. It can brighten your eyes and draw attention to your other facial features. But plucking can be painful and if you wax, you're basically watching money drip from your wallet. One economical way to get great eyebrows is grooming them with an archer tool. An eyebrow archer's razor can create a smooth brow arch that features a perfectly plucked look -- minus the pain. Simply locate your arch and use a few brow-shaping rules to get the most from your archer. Brush your eyebrows upward using a brow brush. Snip any long hairs that extend above the brow line. 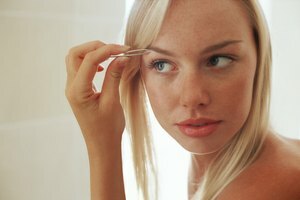 Brush the eyebrows over and down in the direction of hair growth. Cut any stray hairs that fall below the others. This takes off added weight and length so you can begin to see your brow's natural shape. Repeat on the other brow. Place a pencil vertically on the side of your nose bridge. This is where the inner edge of your eyebrows should start. Mark the area with a brow pencil so you know where you'll be trimming. Repeat on the other side. Look straight ahead. Place the pencil parallel to the outside of your iris. Mark the spot with your pencil. This is where your arch should be. Move the pencil diagonally toward the outside corner of your eye. Mark the spot with the pencil. This is where your brow should end. Repeat these steps on the other eye. Place the eyebrow archer onto the area between the eyes and shave the hairs outside the pencil mark above the nose. Use a light touch and carefully shave in the direction of hair growth. Repeat on the other side. Locate the hairs you marked near the arch. Carefully shave two rows of hairs in that area using small, quick strokes. Stand back and look at the brow. You should see an arch forming. Fine tune the arch, shaving one or two hairs at a time. Repeat on the other side. Apply clear eyebrow gel to your brows after you've formed the arch. Always shave one or two hairs at a time for best results. 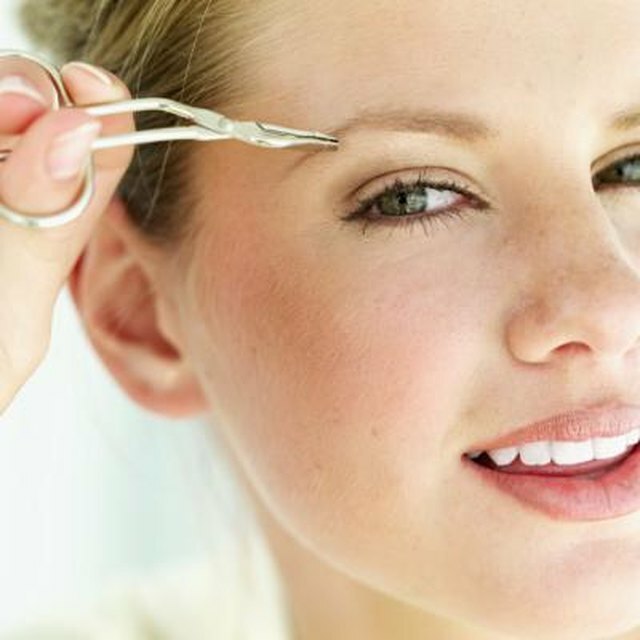 For stubborn or coarse eyebrow hair, you can go against the hair. Refrain from using the eyebrow archer on top of your brows near your forehead. Allow these hairs to form naturally. Archers are extremely sharp. Keep away from children. Finn, Lisa. "How to Arch Eyebrows With an Archer." Synonym, https://classroom.synonym.com/arch-eyebrows-archer-22662.html. Accessed 24 April 2019.